An original audio adaptation of the bestselling book on achieving financial independence. Even people who win the lottery still have money problems, teaches Robin. Whether you're trying to plan for your future, recover from poor choices in the past, or better manage your daily spending habits, Your Money or Your Life provides a road map with proven tools and pragmatic teachings to you get there. This product can be shipped within the US and Canada only. 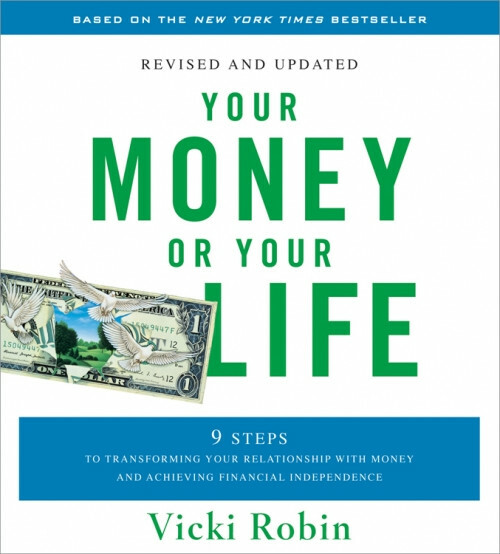 Review for Your Money or Your Life-revised and updated Review by Mary G.
A very inspiring and insightful audio book. I liked how the advice was 'real' and presented in a way that was easy to listen to. I highly recommend this book to everyone! I can't think of a single person who would not benefit from it. It's read by the author herself and her energy and passion for her subject really bring this book alive. It's so easy to listen to because of the life that Vicki Robin injects into it through her spoken words. Although I was a like-minded individual before I started listening, this book has changed the way I think about money in such a useful and positive way. The 9 steps are brilliant!